El Salvador’s world-class waves have never been a secret, though over time more and more secret spots have been unearthed. Usually, those spots are rocky, right-breaking points. 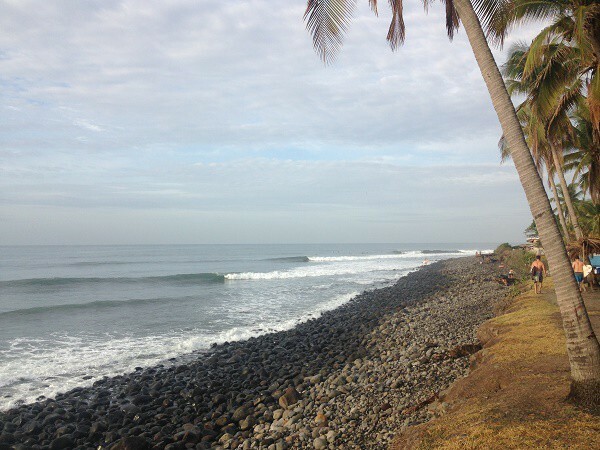 This article will be a great El Salvador surf guide for a first time visitor that will cover many surf spots, surf travel safety tips, when to go, what to bring and much more! Unlike Costa Rica and Nicaragua, the two largest Central American countries in terms of surf tourism, El Salvador has been slow to capitalize on its resources of near-perfect waves. Although that’s changing and surf resorts have sprung up along its Pacific coastline at a rapid speed over the past fifteen years. Nevertheless, low government investment in tourism and concerns about gang violence keep El Salvador under the radar. For surfers lucky enough to go there, this means that crowds are kept to a manageable level at most breaks. The more popular spots are usually somewhat busy, but it’s not hard to find an out-of-the-way wave. El Salvador is a country worth visiting for any surf traveler, but it’s probably best for those who prefer rights and don’t mind surfing in rocky areas. Any surfer on a strict budget should give El Salvador a look, as flights from the Americas are relatively inexpensive and accommodation, food, and transportation can be found for very little money. The Waves: El Salvador is the land of right pointbreaks. It can seem that nearly every headland has a perfect long right reeling along its rocky shore, and in fact that’s not too far from the truth. Its Pacific coastline faces almost due south, and can be split up into two areas of roughly equal size: the west and the “Wild East.” Both areas offer a plethora of world-class right pointbreaks as well as fun and occasionally heavy beach breaks. Sunzal: located near the tourist hotspot known as El Tunco, is a soft, rolling pointbreak. Its sloping walls are very good for longboarding and learning to surf. The point gets very crowded. It can handle waves up to twenty feet in size, though when it gets big it is best left to expert surfers. It works best on a low incoming tide, but breaks through all tides. Nearby, just east of a large rock on the Tunco shoreline, is a heavy left-and right-breaking beachbreak peak known as La Bocana. This is an experts-only wave, and local surfers can sometimes behave aggressively in the water here. For both spots, a north or northeast wind is best. Punta Roca: is the original perfect wave in El Salvador. Located in the coastal city of La Libertad and surfed since the 1960s, Punta Roca requires a head-high swell to begin showing its true potential. When it does, it can provide rides of over 300 meters and offer hollow and steep sections. Boulders are strewn across the inside of the wave, and urchins are sometimes hidden in between the rocks here. At low tide, the wave is quite critical, and the rocks can become hazardous. The crowd here is talented and territorial at the peak, but there is an inside section known as La Paz that is much more beginner-friendly. It works best with a wind direction between ENE and NNE. Traveling further east, surfers pass the beachbreak of Playa San Diego, an average beachbreak that can be a good option when the swell is small. It can be fun even when the wind is onshore, but north winds blow offshore here. 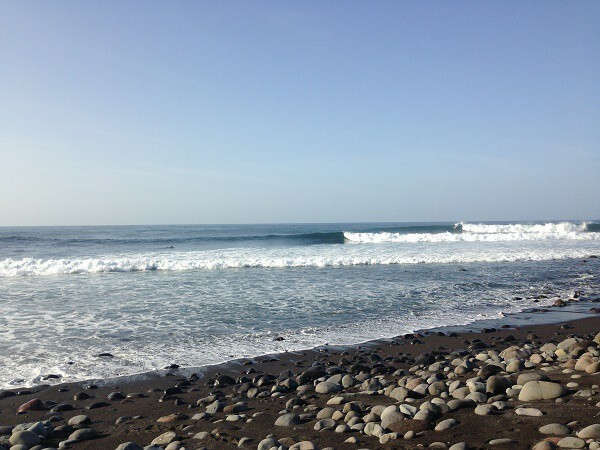 The point at Las Flores has become very popular recently, and a number of surf resorts have set up shop nearby. It is an excellent wave that can handle all tides, provided the swell is overhead. When it’s smaller, low tide is the better call. The point has a rocky shoreline but a sandy bottom. Northerly winds blow offshore here. Many consider Punta Mango to be El Salvador’s best wave. It’s best between head high and double overhead, when barreling waves break along the point. Although access is boat-only, the wave is often crowded with large groups of traveling surfers. It has a rocky bottom and, like most spots in El Salvador, prefers light northerly winds. Other well known spots to check (west to east): Mizata, K59, K61, El Zonte, El Cuco. The Country: El Salvador is a beautiful country filled with lush inland jungles. The infrastructure is solid, and roads are easy to use. Highways run along much of the western coastline. The country’s biggest problem is gang violence, which affects tourists very seldom but is nevertheless important to be aware of. The rainy season usually starts around June, and can be quite severe. The climate is slightly cooler during the rainy season, although days generally have a high temperature around 85 degrees Fahrenheit. The water also remains slightly above 80 degrees for most of the year. The wind frequently follows a diurnal pattern, blowing from the northeast in the morning before switching to a southerly seabreeze for the afternoon that dissipates into the evening. The hottest part of the country is actually the coastline, while the elevated inland areas can be much cooler. When to Go: The primary source of swell for El Salvador is the South Pacific, which produces its largest storms from March through October. Generally, the surf will be head high or below for much of November through February, with a few swell events creating larger surf for a few days at a time. Once the South Pacific storms start brewing in March, surf remains consistently head high and larger swells—up to four times overhead—begin marching in with some consistency. The largest surf generally occurs during the southern hemisphere winter months of June and July, though very large swells can occur anytime between March and November. What to Bring: For most days, a standard shortboard will be the call in El Salvador. However, a step-up board or even a mini-gun will come in handy for those traveling during the peak swell months. For longboarders or fans of alternative shapes, most of the waves in El Salvador will be quite fun. A Spanish vocabulary will be very helpful as well, as only a small portion of the local population speaks English. 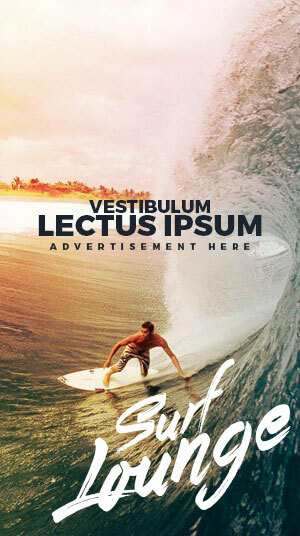 Besides that, the basics—sunscreen, boardshorts, rash guards, wax, etc.—will be all that you need. Only those very sensitive to cold will need any kind of wetsuit. Though doctors and hospitals are available, it is a good idea to bring a first aid kit and waterproof bandages. For surfers who wish to ride any of the rocky right pointbreaks, small cuts on the feet from getting in and out of the water will be unavoidable. Surfers with sensitive feet will want to bring reef boots. Hazards: Surfers accustomed to beach breaks often have a tough time surfing the rocky pointbreaks that litter the coastline of El Salvador. Sharp rocks are nearly ubiquitous at the entry and exit points of most of the country’s best waves. Additionally, petty crime is a problem in many of the more populous areas of El Salvador. Violent incidents like muggings are extremely rare, and the gang violence that’s associated with El Salvador throughout much of the news cycle has very little impact on travelers. Still, it is best to be smart, avoid confrontation, and practice caution when using public transportation and visiting high-population areas. I am planning a surfing trip with a group of friends and we heard that some of the best waves are in El Salvador. The fact that the waves can get up to twenty feet in size and are long rolling makes me excited to get out there and surf them. I think that it would be an amazing opportunity and a great trip to go on!